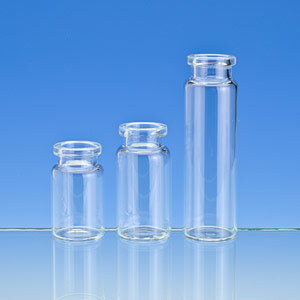 Headspace Vials are manufactured from Type 1 borosilicate glass, available in clear or amber. 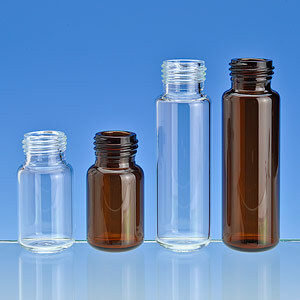 Seals for Headspace Vials are available in aluminum, magnetic and pressure release. Pressure release seals offer a safety feature where the scored aluminum seal will open if the internal pressure reaches 3.0 ± 0.5 bar (1 bar equals approximately 14.5 psi). 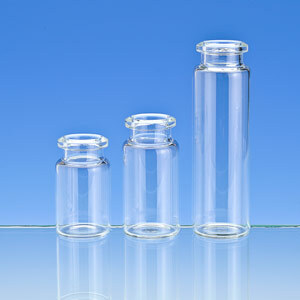 18 mm Screw Thread Headspace Vials use a 1.25 mm average wall thickness, which offers more reliability when internal pressures build. They are inspected using the latest camera gauging equipment to ensure the tightest dimensional tolerances are maintained during the manufacturing process. 18 mm precision thread, lined, magnetic closures provide a secure seal.